Music is amazing, isn’t it? Good music can fill the room with an awesome spirit. It can change the tempo of a day almost instantly. I like to turn on music when my kids are having a hard time and have an impromptu dance party. It works, every time. Tears dry up and tantrums go away. It’s like magic. I also want my children to love music the way I do, so I try and incorporate it into the day as much as possible. Here are some things I do to fill my house with music. My son could play a harmonica at 18 months. He loves it. Both him and my daughter love anything that shakes. Kids love things that make noise, and while it may not sound like music to you, it’s the beginning of helping your little one to love music. 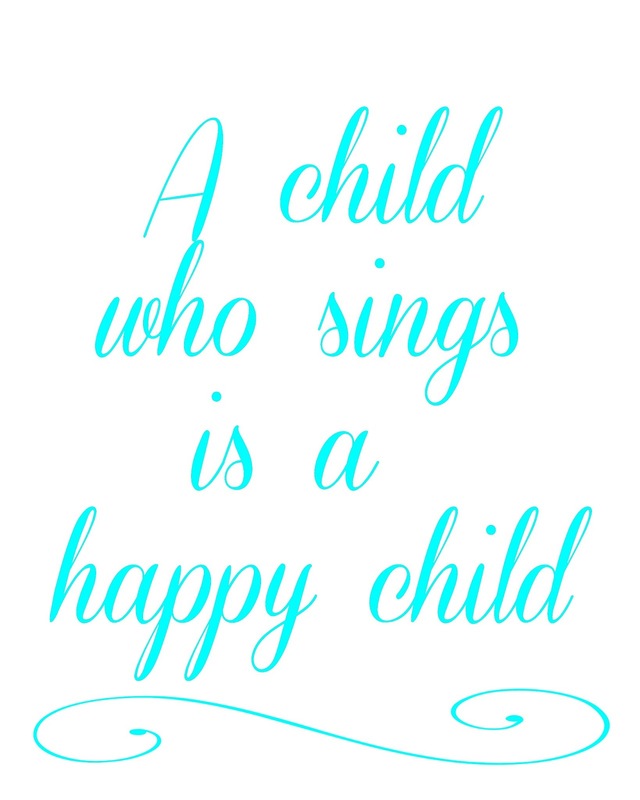 Not only does singing help your kids to calm down, it also helps them to learn the songs and start to love them. Kids love songs that include any kind of action, and the actions help them to learn the songs. I love seeing my two year old following along with my hand actions when I sing. Don’t worry about whether or not you have a good voice, your child doesn’t care. Have you ever noticed how kids naturally dance? As young as four or five months, when I child hears music, they can’t help but dance. But, around the age of four or five, they decide that they shouldn’t dance. They still want to, you can see it in their eyes, but they feel like they shouldn’t. Why? Because adults don’t dance. Because they think that they are doing something wrong when they dance. So don’t let them think that. Help them to feel comfortable expressing themselves though dance, even if it is just a little wiggling of their booty when they hear a beat. One of my husband’s favorite way to spend time with our kids is in front of his computer, listening to music. He sits on his chair with both kids in his lap, and they all bang on his desk to the beat. While my 11 month old has no idea what’s going on, the two year old quickly changes his pounding to match his daddy’s. My husband only did this three or four times before we noticed that our son can now find the beat on his own. One of my kids favorite activities is what I call “dance parties.” Basically, we turn music up super loud and sing as loud as we can and dance like crazy. This can last anywhere from 30 seconds to 15 minutes, depending on how much the kids like the party. It’s fun for the kids, and it burns lots of calories for you, and it gets music into their lives. Like I said before, music can really change the mood and tempo of the day. And it’s never too early to start helping your kids love music. 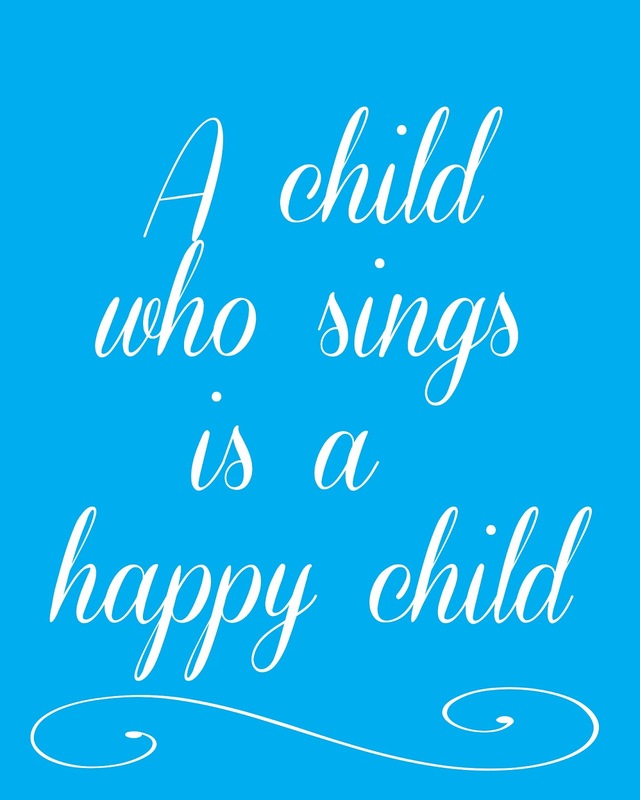 In the April 2013 LDS General Conference, one of the speakers said that “A child who sings is a happy child.” I loved that quote, so I made a printable of it for you all. Hang it above your piano, or in your child’s bedroom or on your fridge or wherever to help you remember to incorporate music into your child’s life. What do you do to help your kids love music? Leave a comment and let me know! 157 Commentshttp%3A%2F%2Fwww.amouseinmykitchen.com%2F2013%2F05%2Ffive-ways-to-help-your-kids-love-music.htmlFive+Ways+To+Help+Your+Kids+Love+Music2013-05-16+01%3A12%3A00Markellhttp%3A%2F%2Famouseinmykitchen.com%2Ffive-ways-to-help-your-kids-love-music%2F so far. Feel free to join this conversation. Adam was just telling me this. Alana was singing in the car like the whole ride to the coast, and he said "A child who sings is a happy child"
very, very true. we've been moving a lot lately (like 6 moves in 8 weeks, on Monday it will be 7 moves in 8 weeks). my kids need to start singing again! haha. Oh Alana… I bet that was awesome. I love it when my kids try to sing. I'm sure when they actually say words, I'll love it even more. Wow. I'm so sorry that you're moving so much! I hope it's for a good reason! And hopefully you get to your destination soon. Thank you for your post! I am stoping by and linking up from the Wondering Brain Hop. Music is so important in child's development and children learn so much with the help of music. Thank you for sharing this article with your readers! Nice post. I was checking constantly this blog and I’m impressed! Very helpful information particularly the last part 🙂 I care for such information much. I was seeking this certain information for a long time. Thank you and best of luck.